Download of nintendo 64(N64) emulators: Project 64, P.64k, 1964, Nemu, SupraHLE, Daedalus and Sixtyforce. 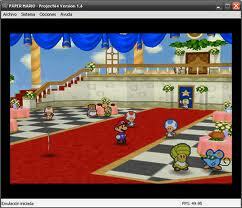 One of the best nintendo 64 emulator, is one of the fastest and most compatible with several games of N64. A version of Project 64, this have possibility of play online n64 games. 1964 0.9.9 : Excellent is hard to know which is the best project 64 or 1964, use the plugin Jabo 1.5.2 or Rice Daedalus. The 1964 0.99 can be played online, the 1964 is faster than project 64, and version 0.9.9 of 1964 is the most stable. Good emulator, mupen64k like the project64k works fine online, but requires a bit more powerfull PC. It's worth downloading it..
Is good because is fast andbom porque é rápido e quite compatible. But not have further updates since 2005. It is a good alternative, but you need a pretty fast PC. At first emerged as an excellent emulator but stopped being updated and stayed for behind. N64 emulator for Macintosh (Mac OS), not compatible with windows. História sobre a emulação do N64.